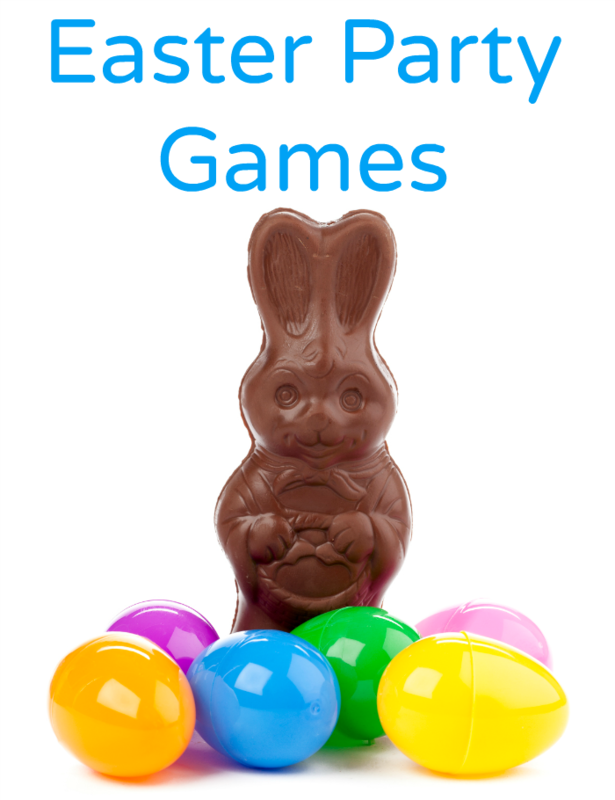 Planning a kid’s party and looking for some Easter party games? 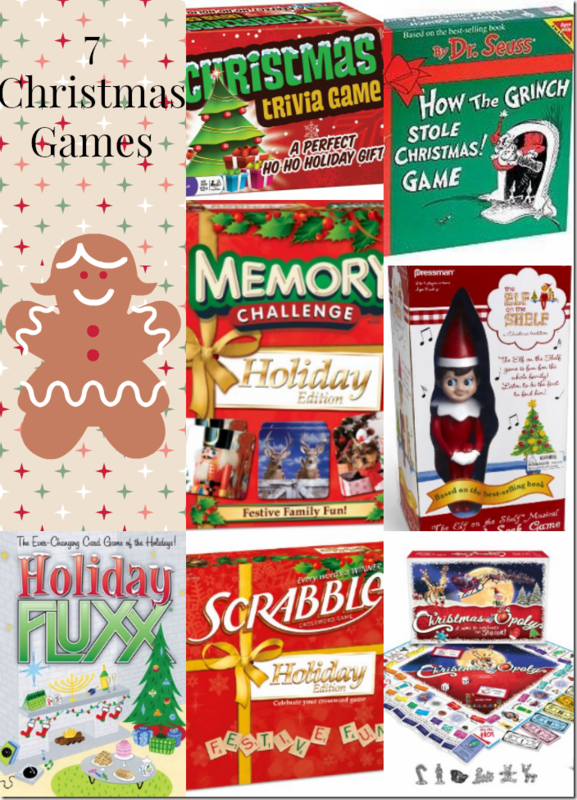 Here are some ones I found on Amazon that would be tons of fun for the kids. 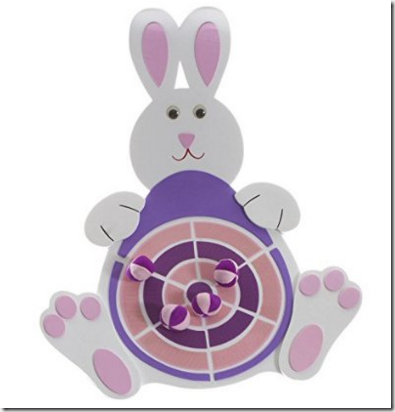 This Easter bean bag toss game comes with a stand up bunny and 5 holes plus spring coloured bean bags to toss into the holes. The holes have mesh so it will catch your bean bags to make it easy to clear them out for the next player. 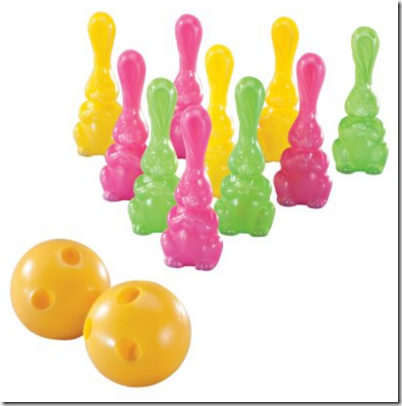 This Easter bowling set is made of plastic and includes 10 pins and 2 balls. 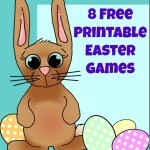 For some simple Easter fun. This would be perfect for the youngest crowd as rolling a ball is an easy task for a toddler or preschooler. 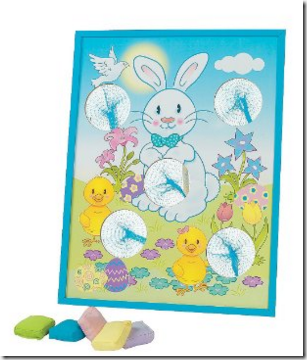 This Easter dart board uses soft ball darts that stick to the board with velcro. Includes 4 balls. 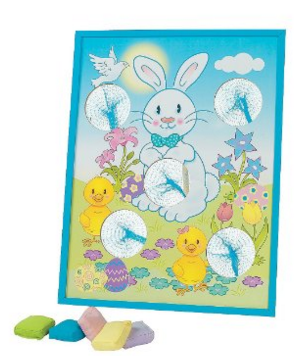 This cute twist on Easter ring toss has a person wearing the Easter ears and others tossing rings onto the ears. It’s all made out of inflatables so no one will get hurt if a ring hits them in the head. 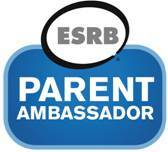 Includes 4 rings and hat. 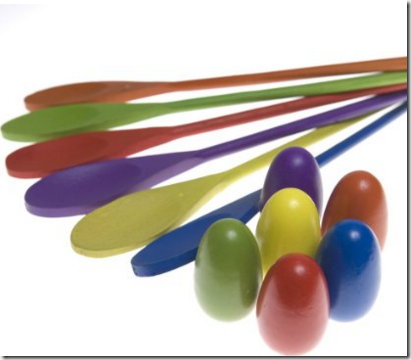 Okay so this egg and spoon relay isn’t necessarily Easter themed but what better game to play at an Easter party? This one is made from wood with bright colours so will last. 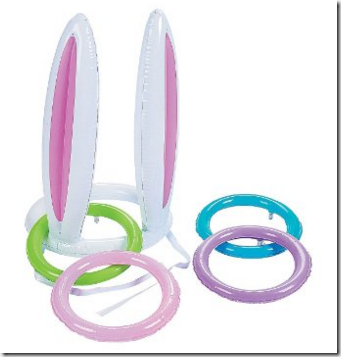 This Easter bunny ring toss has four bunnies and four rings. 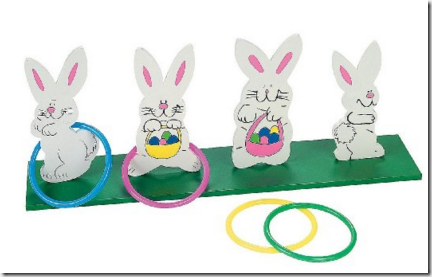 The bunnies are made of wood while the rings are made of plastic. The board should last.